When iOS 10 Jailbreak by Pangu for iPhone / iPad Is Releasing? You are here: GeekSays Technology News » Jailbreak News » When iOS 10 Jailbreak by Pangu for iPhone / iPad Is Releasing? Pangu is expected to develop an iOS 10 jailbreak tool for iPhone and iPad users. 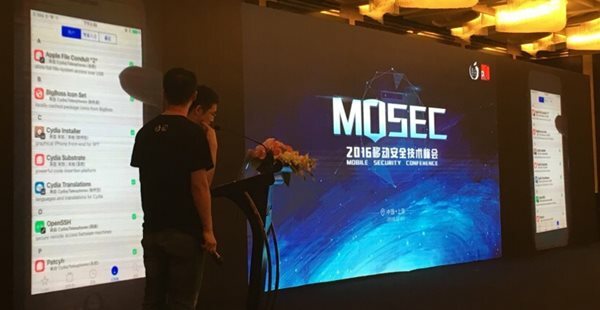 The Chinese hackers team has showcased their success about iOS 10 jailbreak on MOSEC 2016. Pangu Jailbreak demoed a working exploit on iOS 10 beta running device. The iOS 10 jailbreak is said to be under development by renowned Pangu. The jailbreak team demoed their exploits on Mobile Security Conference in Shanghai. The presentation at MOSEC suggested Pangu to be actively working on upcoming iOS 10. The reports also suggested that iOS 10 Jailbreak hints at the long forgotten public jailbreak for iOS 9.3.2 devices. Pangu Jailbreak team has gone silents for months about iOS 9.3.2 Jailbreak, and suddenly the come back with iOS 10 Jailbreak beta is a real news for everyone. We talked with our friends in iOS Jailbreak community to get more hands-on updates about Pangu iOS 10 Jailbreak. Everyone is suggesting Pangu is developing multiple tools for iPhone and iPad devices. Pangu Jailbreak update will cover final version of iOS 10. Moreover, there are reports iOS 10 Jailbreak beta is not open for any other hacker in iOS community. MOSEC is an annual security conference for mobile phones and this year. We heard Pangu co-hosted it to control how things work iOS devices. They demoed their iOS 10 Jailbreak beta on stage with a Cydia running on iOS 10 beta 1 device. The iOS 10 Jailbreak preview also gave us a hint about Pangu’s exploit for iOS 10. The beta jailbreak exploit works on 64-bit devices, means if they want to launch iOS 9.3.2 jailbreak they can target all devices. In addition to a public demo of Cydia running on iOS 10, Pangu team discussed the security problems in iOS 9.3.2 and made assure they will release iOS 9.3.2 jailbreak for public. Some audience from the event chattered about the iOS 10 jailbreak development with Pangu. We heard Pangu is actively working on making a jailbreak for iOS devices, but it doesn’t mean they are going to release those exploits for general public. We have seen many jailbreak hackers showcasing their exploits on iOS 9.3.2 and iOS 10, but none of them committed to releasing it in public. Majority developers claimed they plan to keep their exploits for research work, and they cannot release them. Several iOS jailbreak users were worried what happens if Pangu adopts the similar technique of not releasing public jailbreaks but to keep their exploit for corporate usage. The iOS 10 Jailbreak is under development phase like iOS 10 beta development. We believe iOS 10 jailbreak will come after the launch of iOS 10 in public this fall. There is also the possibility of delay in iOS 10 jailbreak launch because Apple is currently developing iOS 10 and there are chances there will be an update to iOS 10 security. In the past, we have seen Apple fixing exploits before the public launch of jailbreak for general users.